Has our organizations increased or decreased the share of cases receiving extended service? Does it vary by subject area? Has the level of service our clients receive changed? If so, do we know why? Do different types of cases warrant more extended service or more brief service and advice? How has the level of service changed over time by various categories, such as case type or demographics? Gather counts of cases closed with brief service or advice and those closed with extended service over the past 5 years, or for the most recent calendar year and the 5 years prior. 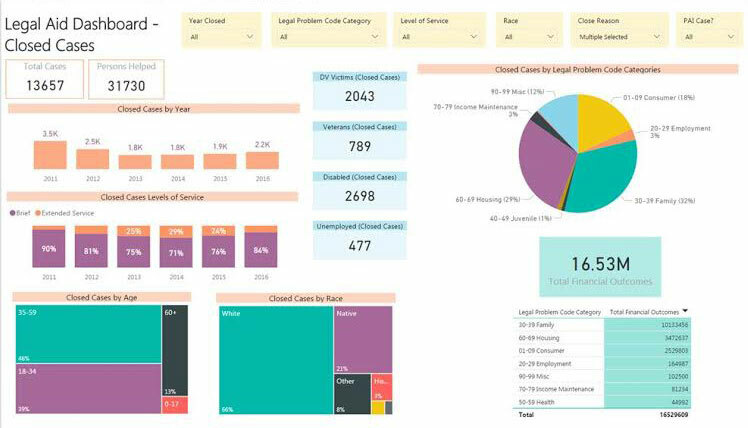 Using whichever analysis software you prefer (Excel bar charts shown in this example), compare proportions of cases based on level of service. You may want to make these comparisons for all cases, by practice group, by clients’ demographics, by county, etc. 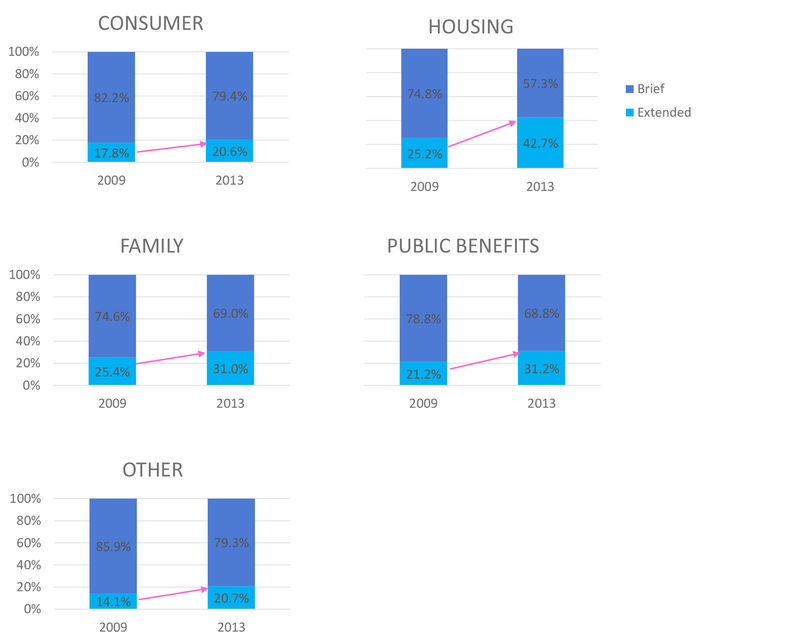 Consider adding arrows to show whether trends are increasing or decreasing for the percentage of cases receiving extended service.